To Celebrate 25 years in business we are giving away some fantastic presents this year. One of them is for our special Dads out there! 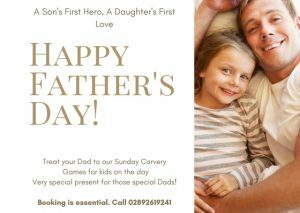 Bring your Dad along to our Sunday Carvery this Fathers Day and he will receive a complimentary round of golf on our 18 hole championship course.